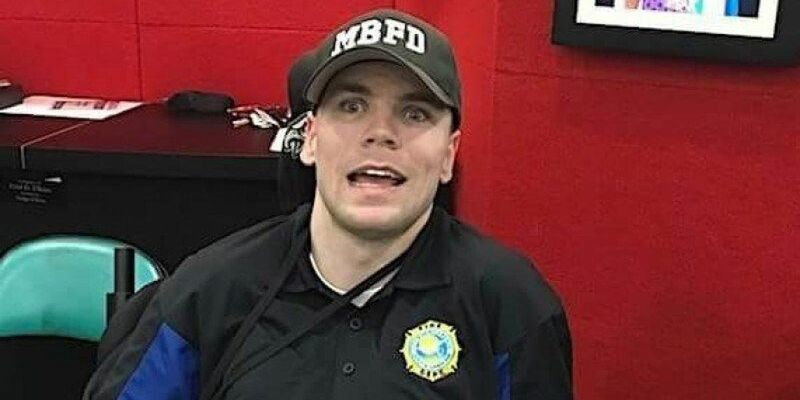 MYRTLE BEACH, SC (WMBF) - A 32-year-old volunteer firefighter for both the Myrtle Beach and Surfside Beach fire departments is not letting anything stop him – even cerebral palsy. If the call is close enough, Roy Luther rolls up to the scene with the rest of the firefighters. When he's not on the scene, Luther stays busy around the stations, helping to back in the engines, wash the equipment, answer the phones, and keeps track of everyone on a call. Basically, Luther does just about anything that is asked of him. Still, his biggest contribution is keeping everyone's spirits as high as his. "He's kind of like the mayor around the fire stations," said Surfside Beach Fire Chief Kevin Otte. While there is no shortage of laughs, Luther takes the fire service very seriously. "We go to people sometimes on the worst day of their lives," Luther said. "And, you know, if we can make their day a little better by what we do for them and help them, that's what it's all about." That urge to help is what prompted Luther's fellow firefighters to start a GoFundMe account to buy him a new wheelchair. "That was, you know, a no brainer," Otte said. "We knew if it was something he needed, that we would do whatever we could do because of what he does for us." This particular wheelchair would help Luther actually stand up, improving his overall quality of life and allowing him to breathe easier. It's something Luther's "brothers in battle" are working to make a reality. "Yeah you realize, man, if I had this guy's heart, how much farther could I go in my career if I just had that much passion for the job," said Myrtle Beach Fire Lt. Jonathan Evans. "I mean, we all love the job, but his is just out of this level." It's a love Luther will never let go of. "I don't let anything stop me," he said. "God said all things are possible and I roll with it."